Oando Public Relation Internship Competition 2019 Application Form is out; registration is still ongoing register here to apply. This post is a guide for participants who wish to participate in the ongoing 2019 Oando Public Relation Internship Competition. 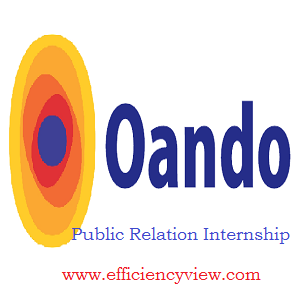 Read more below for 2019 Oando PR intern Competition. At the end of this article you will know to participate for Oando Public Relation Internship Competition and requirements involves. Oando Plc is one of Africa’s largest integrated energy solutions providers with a proud heritage. It has a primary listing on the Nigeria Stock Exchange and a secondary listing on the Johannesburg Stock Exchange. With shared values of Teamwork, Respect, Integrity, Passion and Professionalism (TRIPP). Who is eligible to apply/register/participate?